Bernard & Merrill, PLLC congratulates Eric P. Bernard on his re-appointment by the NH Bar Association, Board of Governors to a three-year term on the Workers’ Compensation Appeals Advisory Board as the Member representing defendants. Laura M. Del Camp will present ‘Using Evidence to Your Client’s Advantage: Claimant and Respondent Strategies’ and ‘Ethical Considerations’ at the National Business Institute seminar on Workers’ Compensation. The seminar is scheduled May 16, 2018 at the Executive Court Banquet Center in Manchester, New Hampshire. The seminar will begin at 9:00am, with registration at 8:30am, and continuing through 4:30pm. You can visit this link for early registration and more information. Eric Bernard will present an Update on Developments in New Hampshire Workers’ Compensation Law at the 17th Annual Labor & Employment Law Update Continuing Legal Education program hosted by the New Hampshire Bar Association. The seminar is scheduled on April 12, 2018, at the Grappone Conference Center in Concord, New Hampshire. Bernard & Merrill is pleased to announce that Margaret P. Sack, Esq., has become a partner of the firm. Meg will continue her dedication to workers’ compensation law, representing self-insured employers, third-party administrators and workers’ compensation insurance carriers. Bernard & Merrill welcomes Michelle A. Broadhurst to its team of attorneys. Michelle joins the firm after practicing as in-house counsel for a large insurance company and is former chair of the New Hampshire Bar Association Workers’ Compensation Section. Michelle has extensive experience counseling employers and insurance carriers in complex workers’ compensation and insurance matters. Bernard & Merrill once again congratulates Attorney Stuart on his appointment to the Bar Association’s Legislative Committee for the 2017-2018 Association Year. The Legislation Committee reviews legislation pending before the New Hampshire Legislature to determine if the proposal affects the administration of justice, the composition and operation of the courts, the practice of law or the legal profession. 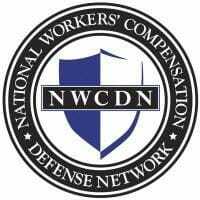 The National Workers Compensation Defense Network is hosting its 2017 Fall Conference in Atlanta, Georgia on October 19, 2017. The NWCDN event is open to all NWCDN member firms and their invited guests, and attendees are never charged. The all-day conference will be conducted on Thursday, October 19, 2017 at the Ritz-Carlton, Buckhead located at 3434 Peachtree Rd NE. Attorney Sack is scheduled to speak at the Spring Occupational Health Conference on March 31, 2017 on the topic of The Interface of Occupational Health and Workers’ Compensation: Maximizing Cost-Savings and Employee Welfare – a Win-Win. The conference is offered by the NH Association of Occupational Health Nurses and Healthcare Employee Health Nurses Association of New England and will be held at Frisbie Memorial Hospital Conference Center in Rochester.